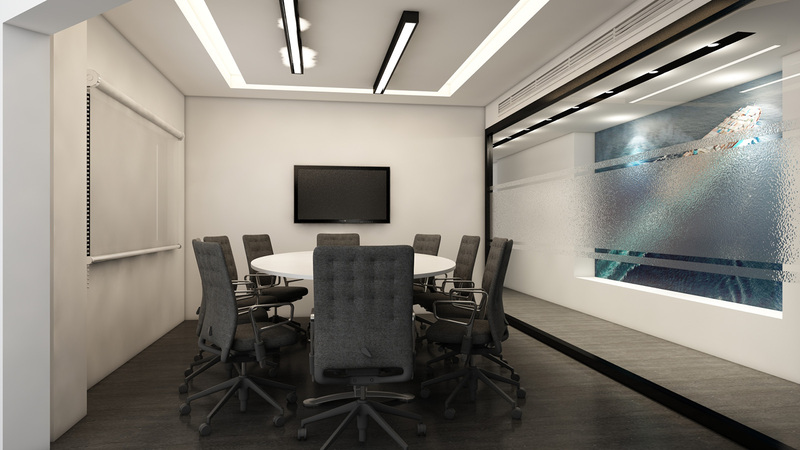 Corporate interiors designed for a shipping company. The concept of the design revolves around the sea-world. The interior has a free-flowing aspect to it, that exquisitely exhibits the crux of the company’s operation. 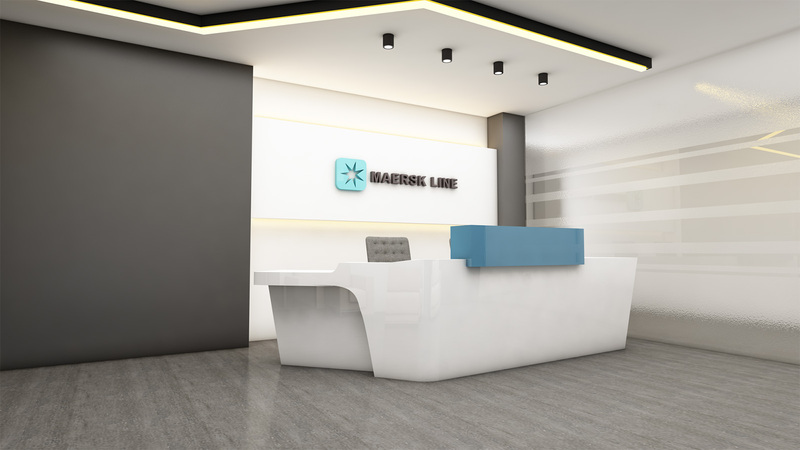 The reception desk is created in the form of a ship; one of the key highlights of the design.